I wanted to share my results with the MF RC522 RFID reader. 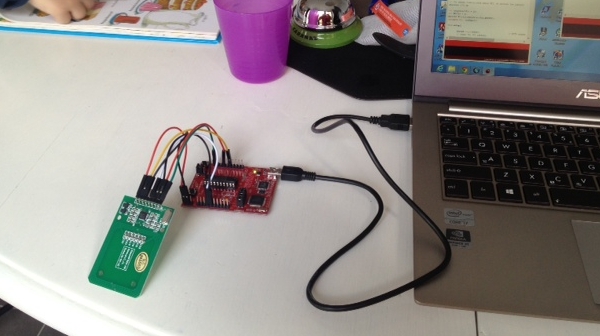 I found an article from Grant Gibson where he used a cheap reader from eBay to read Mifare cards. This entry was posted on Tuesday, July 30th, 2013 at 9:00 pm	and is filed under Interface, library. You can follow any responses to this entry through the RSS 2.0 feed. You can skip to the end and leave a response. Pinging is currently not allowed. Have you found a atmega 32 example of the RFID? Can you help me SPI code of stellaris connect RC522 ? i am interfacing rc522 with ATmega8 through spi.